Originally Submitted to FurAffinity.net on September 25th, 2014 03:19 AM. Before it was transferred to Inkbunny it had 295 views and 9 favorites. I thought I was done carving new stones for this year, then I saw this phrase and had to make just one more. ^_^ This is the final rough carving before the waterproofing and paint are applied. 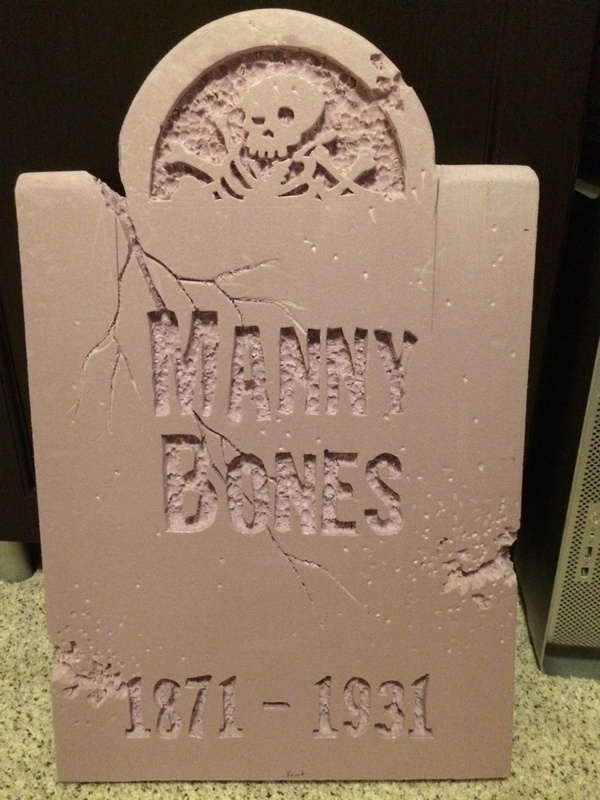 After I did a count I realized that this will be my 13th original tombstone, which seems appropriate for this particular holiday season.